Trevor Bauer never backs down from any challenge or debate. He accepted this call. Bauer was attempting to throw Cleveland's first no-hitter in 38 years — on the 25th anniversary of Progressive Field's opening — but was taken out when his pitch count climbed too high for Francona. Once Bauer was out, Jon Edwards came in and got two outs before closer Brad Hand worked out of a bases-loaded jam. Hand, however, gave up a hard single to center by Galvis. Moments later, Alen Hansen followed with Toronto's second hit and the Blue Jays scored before Hand struck out two for his third save. 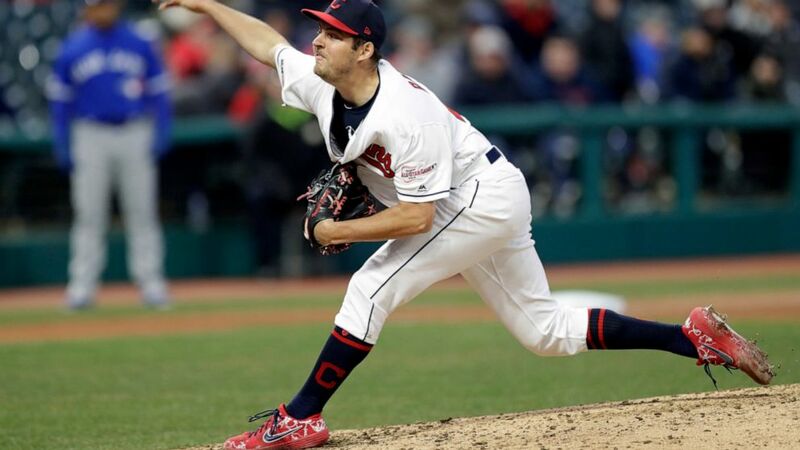 Bauer's performance was anything but pristine. He walked six — including two in the third when he also hit a batter — and even though he struck out eight, was never dominant against a Blue Jays team that has come close to being no-hit several times this season.